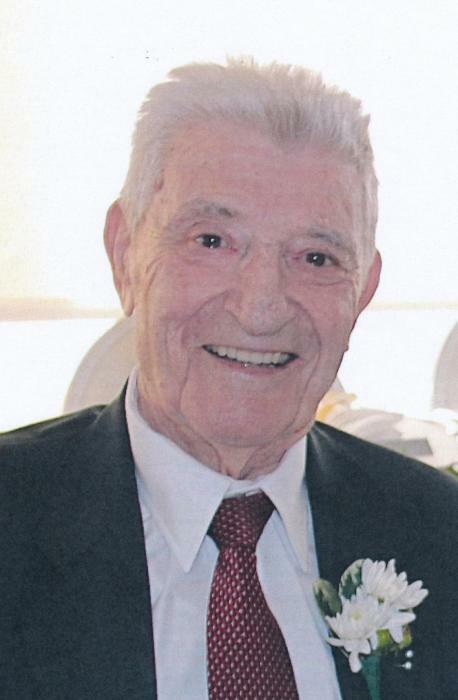 Joseph G. "Pipo" Guerra, 97, of Sandusky, passed away peacefully late Sunday morning, February 3, 2019, surrounded by his family in the Stein Hospice Care Center, Sandusky. 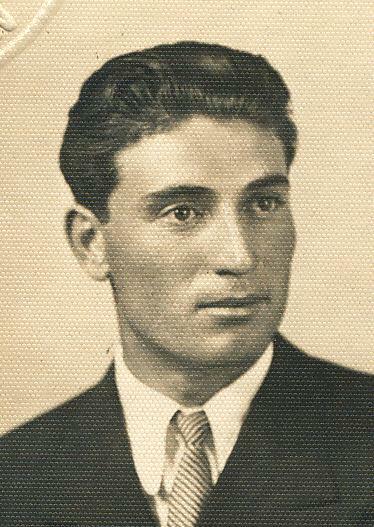 Born on August 8, 1921, in the Republic of San Marino, the son of Lazzaro and Nazzarena (Mari) Guerra. In 1948, he and his wife, Ada, moved to the United States. Joseph had worked at the Farrell-Cheek Steel Company, in Sandusky, for over 30 years, before retiring. His "Number 1" love in life was his family, the grandchildren and his great-grandchildren, which he took great pride in and how they would bring a smile to his face. He will always be remembered by his family for how he loved gardening, spending time with his wife cooking their delicious sauces and pastas throughout the years, making homemade wine with his brother, Marino, and playing poker with his buddies (still into his early 90's), but especially how he always took the time and effort to help others and his friends with a variety of projects, as offering a helping hand in building a home for them. Joseph was a member of Sts. Peter and Paul Catholic Church, the Comunita' of San Marino, in Detroit, MI, and the Italian-American Beneficial Club, where he loved to play bocce for many years. He is survived by 2 sons, Robert (Carol) Guerra and Dennis (Pat) Guerra, both of Sandusky; 4 grandchildren, Gia Lyn (John) LaRue, Derek (Jennifer) Guerra, Kylene (Michael) Bogden and Joseph W. Guerra; 5 great-grandchildren, Lucy and Lincoln LaRose, Reid Guerra and Gracie Guerra-Slack, and Bayla Bogden; and a sister-in-law, Adele Guerra of Sandusky. Joseph was preceded in death by his parents; his wife of nearly 70 years, Ada (Ricci) Guerra on January 2, 2016; a son in infancy; 2 sisters, Maria and Mafalda (in San Marino); and his brother, Marino Guerra. Private funeral services have been held. Entombment was in the Oakland Cemetery Mausoleum, "The Elms," in Sandusky. In lieu of flowers, the family suggests that memorial contributions may be made in his memory to Sts. Peter and Paul Catholic Church, 510 Columbus Avenue, Sandusky, OH 44870 or to Stein Hospice Service, Inc., 1200 Sycamore Line, Sandusky, OH 44870. The family would also like to especially thank the staff of the Stein Hospice Inpatient Care Unit and the staff on the 4th floor at Firelands Regional Medical Center for the special care they had given him during this difficult time. Arrangements are entrusted to David F. Koch Funeral & Cremation Services, 520 Columbus Ave, Sandusky. Your memories and words of comfort may be shared with Joseph’s family at davidfkoch.com.